SimplyHome Launches New Website Features Today!! www.simplyhome-cmi.com now offers features that allow you to get more information and solutions for your loved ones. You will now see the "Wellness" tab and "Virtual Care" tab on the menu bar after logging into our website. Our new Wellness section offers monitoring on things such as an individual's blood pressure, pulse, weight, glucose, and temperature. Sensors already placed in the house will pick up these readings and automatically post them to the website. It literally only takes a few seconds after the reading has been taken that you will be able to see the results via web. This can be especially helpful when it comes to preventing a problem. The "Wellness" section can allow you to show a doctor historically what Mom's blood pressure (for example) has been over the past six months (for example). 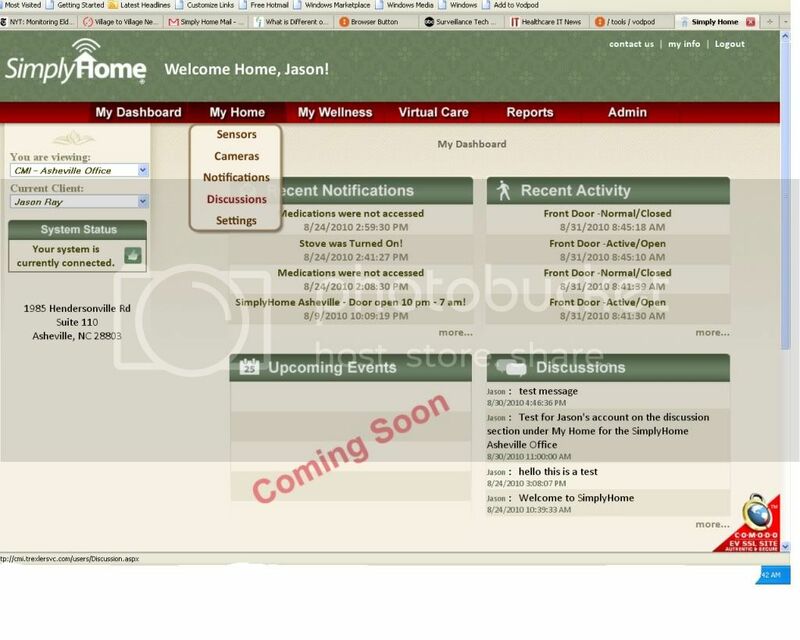 Virtual Care Management is a completely new service that SimplyHome is offering. VCM can be available to our consumers in two ways. You can have access to the Virtual Care tab online only that gives you detailed reports and summaries of your loved one's activities any time of day. The second option is our full service VCM which includes online reports along with an actual person who will be assigned to analyze and report your loved one's information from the SimplyHome support system. VCM will offer you a care management service that includes: identifying needs or changes on customer conditions, knowledge of community resources and entitlements, skills in matching clients with resources, linking of resources, and serving as an advocate. The resulting management reports are provided to those who are authorized and would benefit, including; family members, care providers, aging resources, home modification companies, etc. We have also added a Discussion section that is located under the "My Home" tab. This section can be used to connect family and caregivers throughout the day. For example, a caregiver might post, "Mom just got back from a walk and is taking a nap." Family members can see that immediately and feel up-to-date on everything their loved one is doing. 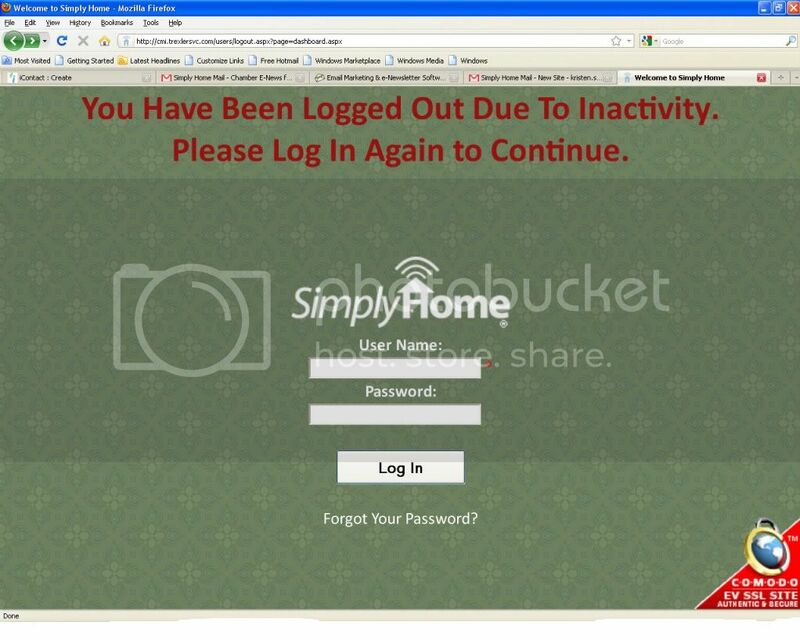 For more information please visit our website at www.simplyhome-cmi.com or contact us at (877) 684-3581.
www.simplyhome-cmi.com has taken new precautionary measures to insure that your information is secure. You will now be able to see activity on a client by client basis. This is especially helpful when you would like to quickly review data on an area of concern. All current and active customers will be be asked to reset their password to meet new safety regulations. Please be on the look out for an instructional email that will guide you through any changes you need to make. For more information please visit our website at www.simplyhome-cmi.com or contact us at 877-684-3581.